On March 10th, The FiLS Program participated in Turning the Page’s middle school science night, which was held at the Marian Koshland Science Museum. Students and parents from Hart and Kramer Middle Schools had a chance to get up close and personal with their newest friends, C. elegans. C. elegans is a 1 millimeter long worm used by researchers from all over the world to study and improve human health. 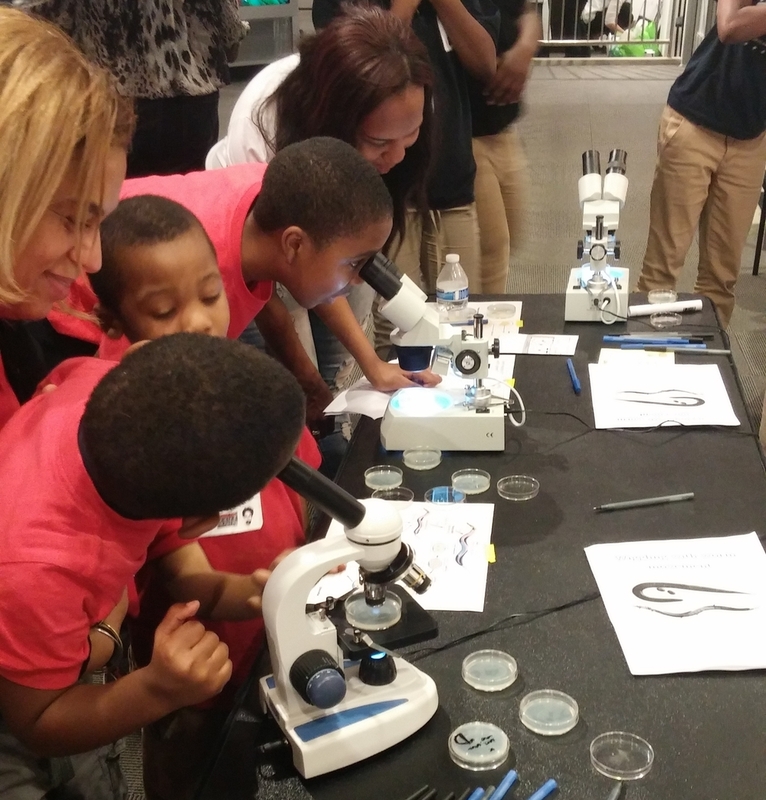 The students examined normal and mutant worm locomotion using microscopes and dissecting scopes. This was an amazing opportunity to share the joys and challenges of science with young, curious students. Hart and Kramer Middle Schools are found in SE Washington, DC. Newer PostFiLS Program takes part in STEAM night!